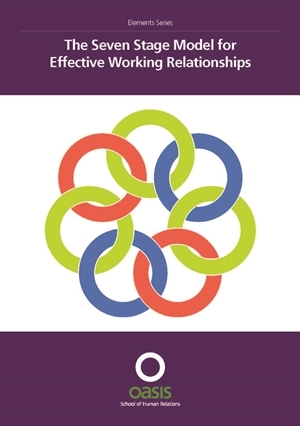 This manual is an accessible introduction to the Oasis Seven Stage Model of effective relationships. The model is cyclical, dynamic and developmental. It arose from the need to provide people from a wide variety of backgrounds with a simple overview of the stages of an effective interpersonal or helping relationship. As well as offering a complete model, each stage offers specific skills that can be applied according to the needs and priorities of a relationship. If you require a hard copy, these are available from the centre for a small fee. Contact us on 01937 541700. Peer learning is effective, collaborative, relational and challenging. It equips organisations to work with the potentials and constraints being faced by many. An accessible introduction to the Oasis Seven Stage Model of effective relationships.